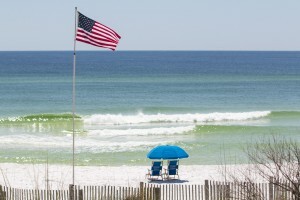 It’s a rip roaring red, white and blue Memorial Day weekend on 30A. What an incredible community we have that offers so many activities free and open to the public. This Memorial Day weekend has something for everyone, starting on Thursday, May 26th. From 7:00 pm to 8:00 pm, there’s Americana Under the Stars at Topsail Hill Preserve State Park with live music in the amphitheater. This occurs every Thursday night for the summer, featuring different artists each week. It’s free admission into the park with a suggested donation of $5 to the Friends of Topsail Hill. Bring a chair and a favorite beverage and enjoy music in the park. This is family/pet friendly and fun for all ages. On Friday, May 27th, Seaside’s amphitheater will offer a movie, The Good Dinosaur, after the sun goes down. That is just great classic family fun! Then on Saturday, May 28th from 7:00pm – 9:00pm, Memorial Day Weekend Celebration will be held at Baytowne Wharf. There are activities for the whole family throughout the weekend with live music in the Events Plaza stage on Saturday night. Seaside’s amphitheater will also host a concert on Saturday night, featuring Great Peacock, a popular Nashville band known for their “rootsy, down-home Americana and super-sized arena pop/rock”. Sunday, May 29th brings the Memorial Day Weekend Concert at WaterColor Marina Park from 5:00pm – 8:00pm. This is open to the public and admission is free. Be ready to enjoy outdoor entertainment under the stars. Also on Sunday is a continuation of the Memorial Day Weekend Celebration at Baytowne Wharf. 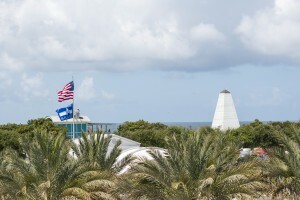 Children’s activities will be featured in the Events Plaza from 6-9 p.m. and then a spectacular patriotic fireworks show at 9:15 p.m. Or perhaps you’d prefer Sinfonia Goes Pops at Alys Beach at 7:30pm. Bring blankets and chairs and enjoy the orchestral sounds of Sinfonia Gulf Coast under the palm trees in the Alys Beach Amphitheatre. Come out to the beach for the incredible music and stay for the fireworks. Food and beverages are available for purchase. Special Memorial Day activities continue on Monday, May 30th, both fun filled and solemn, ensuring a patriotic start to the week. From 10:00am – 11:00am, there is a Memorial Day Service at Gulf Cemetery. Later, join our veterans at the Sandestin Veterans Program at Baytowne Wharf at 7:00 p.m., right before sunset. Presented by Sandestin veterans, this event will include presentation of colors, keynote remarks, bagpipes and patriotic music, TAPS, invocation and benediction, and a flyover by WW II vintage planes “The War Birds”. At the conclusion of the ceremony, attendees will be invited to place American flags at veterans’ graves. Admission is free and open to the public. Also on Monday, there’s a “Happier Hour” all day, poolside at the Pearl in Rosemary Beach from 11:00 am – 9:00 pm with live entertainment from 3:00pm to 7:00 pm. And, not to be missed Monday night at Rosemary Beach, the Drifters are in concert from 7:30 pm – 9:00 pm. It is wonderful to have so much good, family entertainment available for our community in celebration of our veterans this Memorial Day weekend. Photos courtesy of Mellow Media.